My name’s Mags, I’m mum to 11-year-old Cameron. Cameron was born missing his right hand. We found out at our 20 week scan he wasn’t going to have a hand and obviously were shocked and had to come to terms with that before he was born. It is difficult to imagine and you always think of the negative things, and constantly think of things he wouldn’t be able to do, but Cameron has smashed every one of them out the park! He was always a very determined little boy and would manage to find a way around every little thing! We have had quite a few different prosthetics! We didn’t go anywhere to find out about a prosthetic until Cameron was 4 and wanted a bike. In the clinic he saw hands and decided at 4 he wanted one, but unfortunately he was too young to understand that this hand was cosmetic only and didn’t DO anything so was most disappointed when he got it and didn’t wear it at all! From there he had attachments made for swinging on gymnastic bars and for bikes or scooters, until they said they could train him for a myoelectric hand which he really wanted. 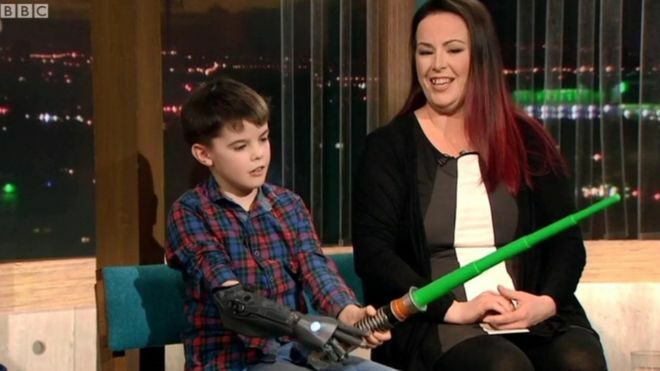 He did all the hours of training and had the cast made for the hand and couldn’t wait for it to arrive but again it didn’t do quite what he wanted, was heavy and not really useful. The Hero Arm is the one thing Cameron has stuck with and used more than anything he’s previously had. 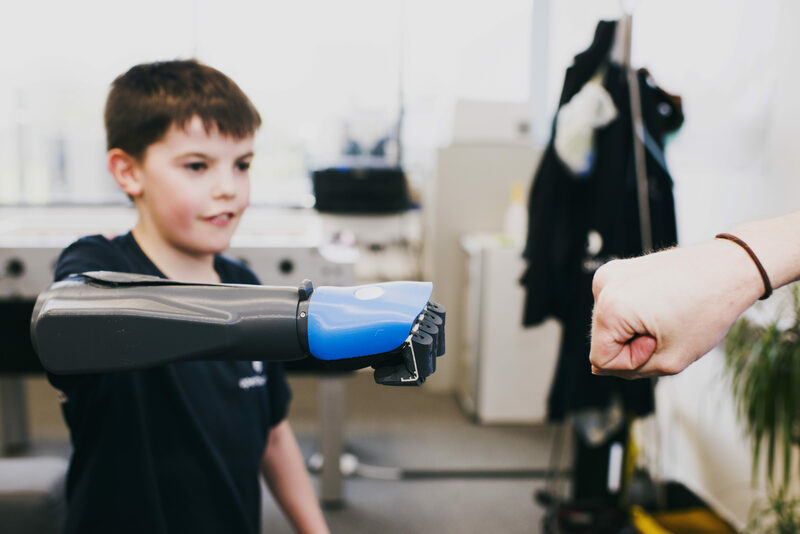 Cameron wears a Hero Arm, the world's most affordable bionic arm. 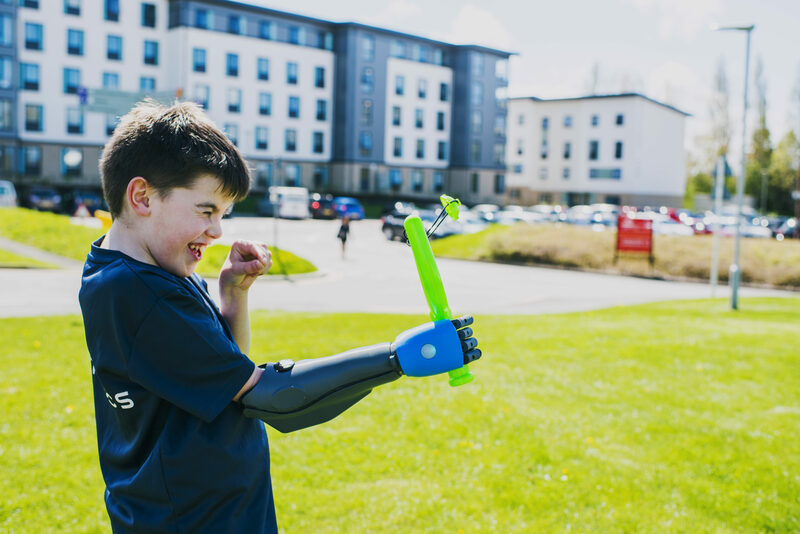 The Hero Arm is now available through private prosthetic clinics for people with below-elbow upper limb differences, aged 9 and above.